Have you seen Sewaholic’s new Alma Blouse yet?!? It’s so very sweet and better still, I was one of the lucky pattern testers that got to make it like two months ago - can you imagine having to keep it a secret for so long!?! 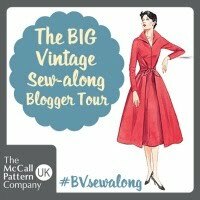 When I saw the pattern, there was no doubt in my mind that I would be making View B - the one with the peter pan collar of course! I’m convinced that the whole process was destined to be, as a day after being accepted as a tester by Tasia, a lovely colleague of mine randomly gifted me the most perfect cotton lawn! So, what's the pattern like to work with? Lovely! There aren't too many pattern pieces and the construction is really straightforward. Everything came together pretty easily and the part I was dreading the most – the invisible side zip – was actually fine. The zip, together with vertical darts on the front and back (similar to the ones you see on so many vintage blouse patterns), make this a super flattering blouse. It literally just skims your curves without being too snug or too baggy! This blouse is so flattering that I'm even confident enough to show you side and back shots...now that's something I don't do often! I slightly messed up my collar because I had to adjust my shoulder seams a bit and forgot to reflect that in my collar pieces. As a result it overlaps a little at the front, but I decided it actually looked ok, so just left it...lazy I know. In hindsight I also probably should have slimmed down the sleeves a little bit too, but I quite enjoy how comfortable they are. I genuinely love this blouse and have worn it loads in the past couple of months. Tasia has yet again created a pattern that is both beautiful to work with and to wear. And with nine possible variations it's certainly good value for money – watch this space for more from me! Squeeeaaal you went for absolutely the same version I would go for and your fabric choice is fabulous. There's a very fin-de-siecle air about it - I love it. I can see it with a high waisted black pencil skirt too. Gorgeous! Oooh, thanks Joanne! I agree that it would look great tucked into a skirt too! Oh my goodness, it's frigging awesome. I am just LOVING the different versions popping up - testament to how unbelievably adaptable this pattern is. I am so making your version asap. I agree that lawn cotton is bang on perfect for this make. I love your print and the swiss dot collar is a perfect choice. The overlapping collar looks as though it's meant to be, to my eyes! This is an absolutely superb rendition. Thanks so much Karen! I want to make your version next...let's swap! What a gorgeous blouse, I love the fabric. The more versions I see of this pattern, the more excited I get about it (although still scared of the invisible side zip)! That is a very pretty blouse. I love the fabric, it was destined to be this blouse. this is so adorable! 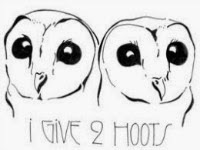 I also though the pattern looked like owls! so now i will make an owl one with the collar! your version is stunning! An owl one will be incredible!!! I'm surprised we haven't seen more copies of this version. I thought people would be all over the peter pan collar! I'm surprised too! I almost didn't make this version as I figured everyone else would, but I just couldn't resist in the end...so glad I went for it! Thank you! I reckon this style will suit everyone! I need ASAP something with piter pan collar!! Yep, Tasia's definitely come up with another winner! I want your blouse though, must make one soon! Love this version, including the overlapped collar. Definitely on my to buy list! Beautiful! Lovely fabric choice and the collar is gorgeous. When I saw the pattern I was most excited about the version B. Your top turned out beautifully! Oh, the lawn paired with that delightful contrast color is fantastic! This would definitely be the version of the blouse that I would make, and I just love it even more after seeing the made up version. I can see why you wear it so often!! Well done! Yours is adorable, what a pretty blouse! awesome fabric and a really great top!! So pretty! I recently bought a pattern with a view like this- if only I'd waited for Alma right? 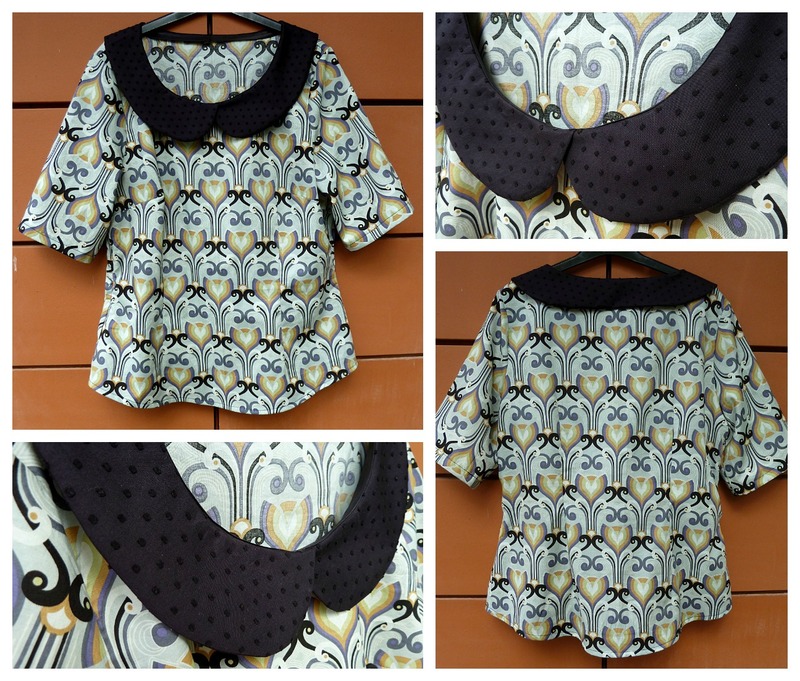 Your blouse is gorgeous, it's another must have pattern. I think we will see hundreds of renditions of this one. Very sweet and looks adorable on you. The black collar is cool too. So pretty! Love the color, it looks fantastic on you. Thanks for sharing! I'm so jealous! Since the Minoru jacket, I've always applied as a pattern tester but haven't been picked anymore. I hope it's not because of my English. Anyways, this pattern tempts me and your version is lovely! Love your version of this blouse! So adorable! I love the print of the fabric and the fit is so perfect ... another winner for Tasia and another winner in your wardrobe. This is so, so cute! I really love it on you! Erm...is my fabric a Liberty print? It was given to me as a 'scrap' by a lovely colleague, so I have no idea. If it is, I'm glad I didn't know as I would have been too chicken to use it! What a great version. I love your fabric choice! I'm loving the fact that every version shown so far has looked completely different! I don't think, if you saw them all together, that you#d even realise they were all from the same pattern. Yep, it's such a versatile pattern! Thanks very much and yes, Tasia's done it again! Stunning fabric and the style looks great over pants. Ooo I love this and I think that I'll have to definitely buy this pattern. 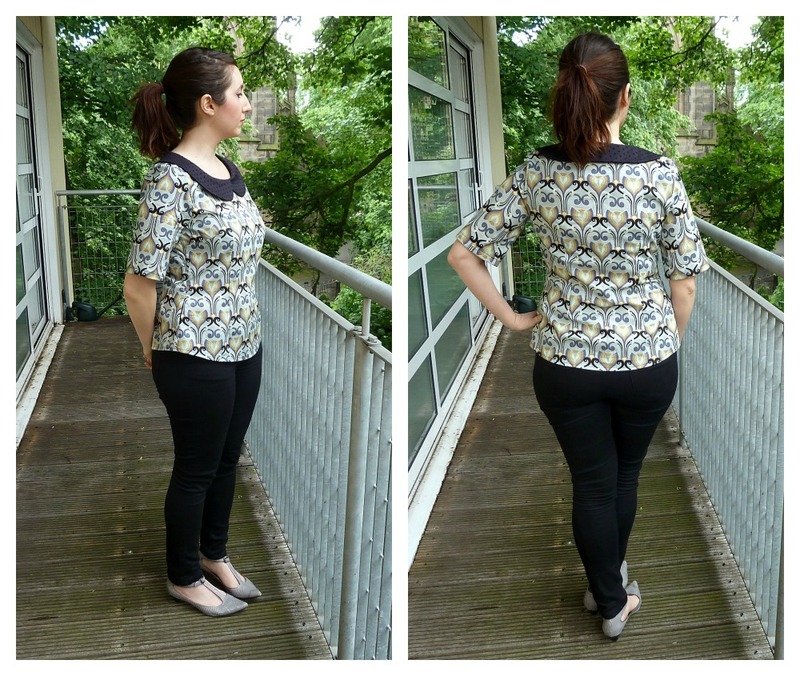 I was doubtful about this pattern but I love your blouse! Thanks so much! You won't regret buying it I'm sure! Breathtaking, Marie. You look beautiful, and your fabric choices are perfection!! I've had this pattern for two whole weeks. Why haven't I made it yet?!! Thanks for the inspiration. What a beautiful blouse! It looks great on you. The fabric is absolutely gorgeous, and looks perfect with the contrast collar. I've yet to make a Sewaholic pattern - your lovely Alma might just have convinced me that this should be my first one. 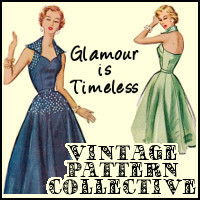 Good to hear it, Sewaholic patterns are of such a high quality! Love it, love it, love it!!!! The collar just makes the blouse so unique. Great job!! I love that blouse! 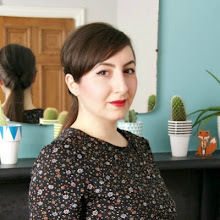 I've bought so many fabrics today only having the Alma blouse in mind! 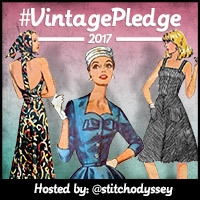 If you want more Sewaholic patterns, I'm having a giveaway at my blog, you and everyone else are very welcome to join! :) Just look for the "Giveaway" blog entry.. Thanks very much Mrs Bao! Lovely pattern, excellent choice of fabric, and the combination of two resulted in a very beautiful top. I love it! And most importantly, it fits you perfectly. Nice job you did there, Marie! I' m going over to Tasia's to check the pattern out.